This is a collection of graphic and illustration work by Cane Fire Graphics. Art for advertising, apparel, and more. 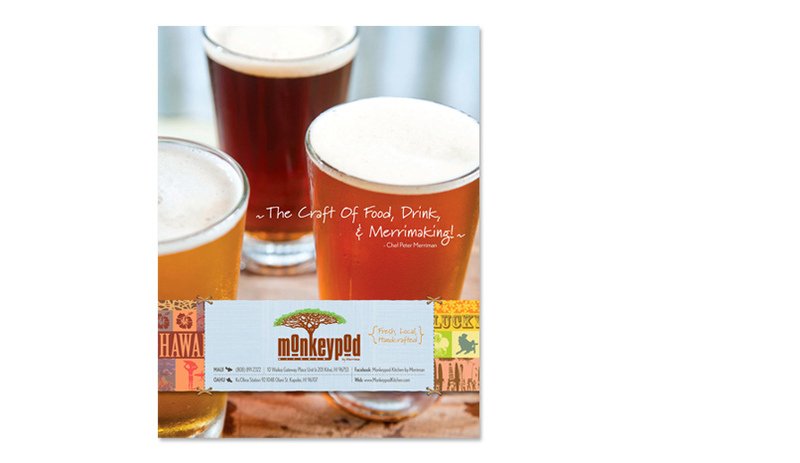 Cane Fire Graphics designed the advertising, website, and apparel for The Monkeypod Kitchen. They have 36 microbrews on tap, poke tacos, and tako poke.